An awareness of hou‘Green’ initiatives is all around us. Even our hashtags are dominated by this trend. Knowledge of the damage we inflict on the environment has become a part of our collective consciousness. Why then, are we failing to take action where it matters the most? Just like charity, the idea of ‘Going Green’ begins at home. Yet, our homes and the resources they consume have become a burden on the environment. Isn’t it time that we look at more eco-friendly solutions? This is why the idea of Green Buildings – known to curb environmental pollution, reduce carbon emission and promote use of environmental friendly materials – are game changers in our fight to preserve the planet. Myth #1: Going Green is Expensive: Green buildings last longer and require fewer resources to develop, as compared to traditional buildings. When we consider the cost benefits of green building –higher energy savings, safer indoor air quality, longevity of the construction, smaller environmental footprint, etc., – then the initial expenditure is well worth it. Even the resale value of green buildings is usually greater than conventional buildings. Myth #2: Not As Aesthetically Pleasing: Green Buildings are inherently more beautiful because builders and homeowners aren’t relying on conventional materials like cement and bricks alone. Reclaimed wood, recycled glass, certified lumber and other such sustainable materials are used to build green homes. Myth #3: They’re Not Very Efficient: The very concept of green buildings promotes efficiency. These buildings harness clean sources of energy such as solar and wind. They also use CFL bulbs and LED lights to reduce power consumption. Wastewater recycling ensures optimal use of water. 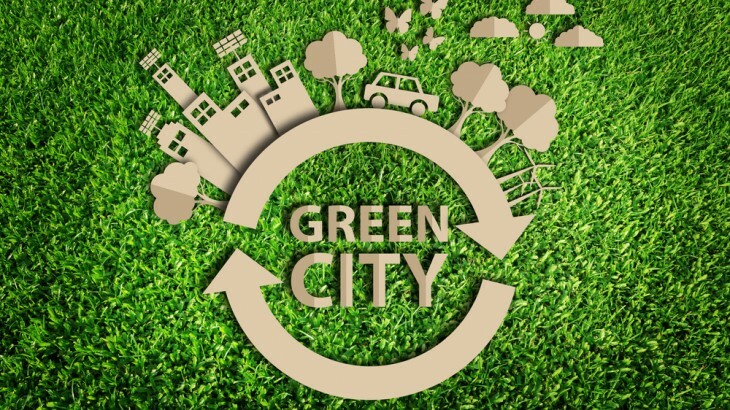 There are many other features such as enhanced health of residents, improved productivity, reduction of waste pollution and environmental degradation, which make green buildings an excellent investment. Myth #4: Green Buildings Don’t Work In India: The International Finance Corporation, a member of the World Bank Group and the Confederation of Real Estate Developers’ Associations of India (CREDAI) are both actively involved in promoting the development of Green Buildings in India. Initiatives to promote green buildings are already underway in the country. In fact, The Indian Bureau of Energy Efficiency (BEE) launched the Energy Conservation Building Code (ECBC) to promote star ratings for energy efficient buildings. With all of these institutional efforts, it’s becoming increasingly clear that the Green Building trend is now here to stay. While quality of construction, aesthetics and financial benefits are important criteria to consider when investing in property, today, the overall energy efficiency of the building is also of paramount importance. Green Buildings are not just eco-friendly; they’re also profitable because of reduced energy costs and cheaper building material. Considering all the above, it is getting harder and harder to ignore the economic and environmental advantages of choosing to go green.